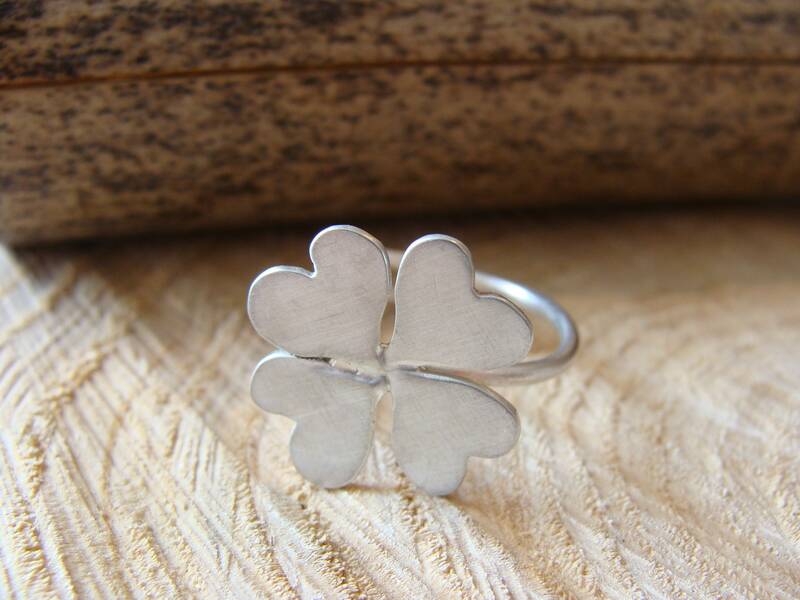 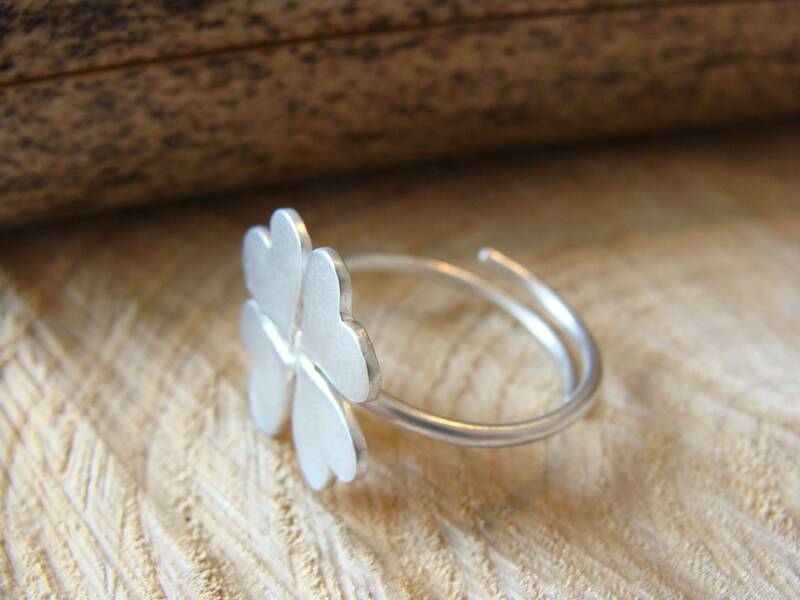 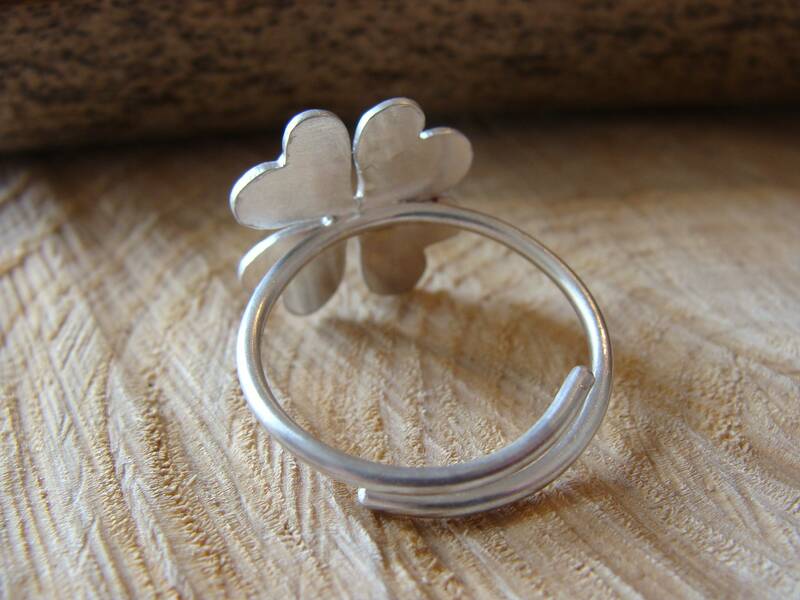 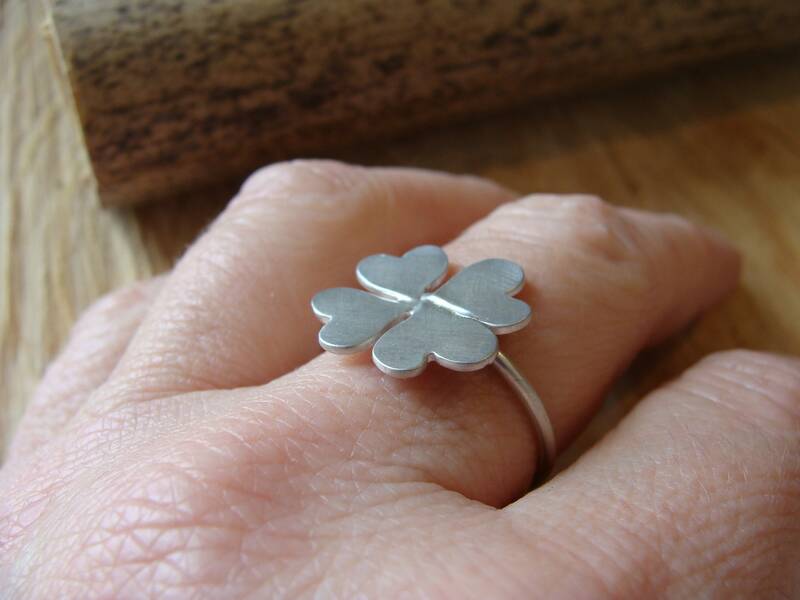 Sterling silver ring with a four-leaf clover motif in satin silver. 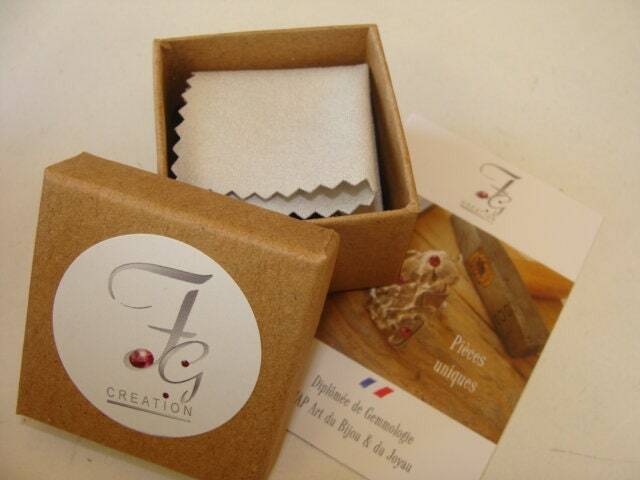 Made in my workshop Lyon. 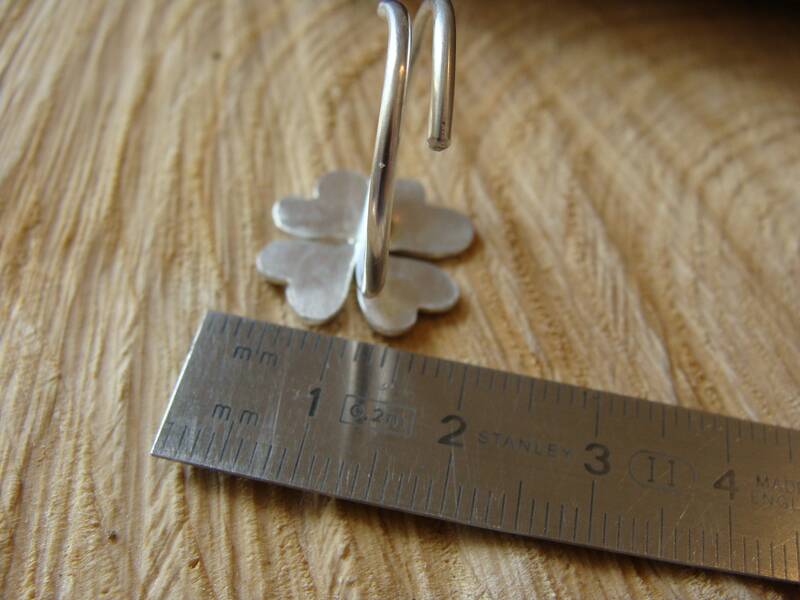 Each silver jewel has the maker's mark, guaranteeing the precious metal and the designer. 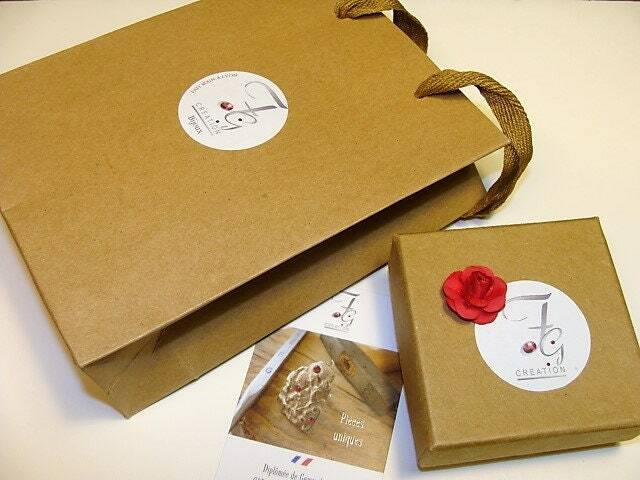 Delivered in its case, ready to offer! 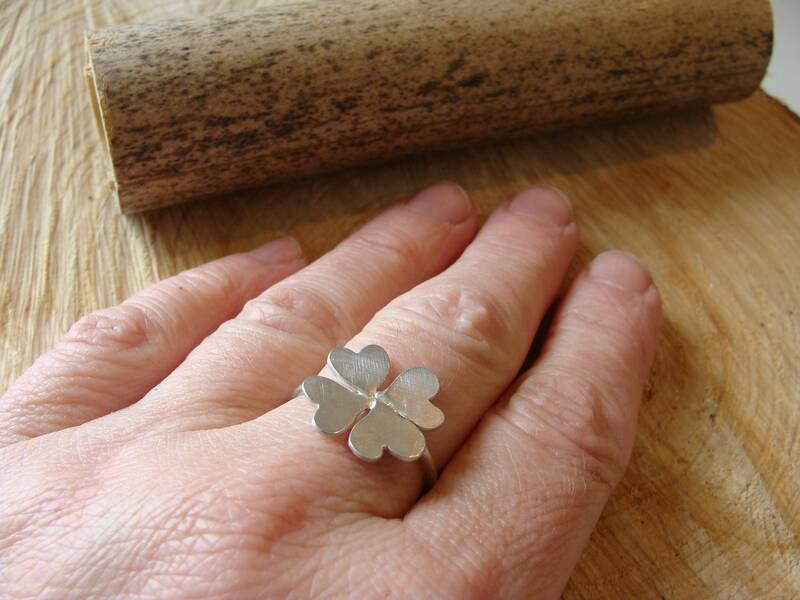 A chamoisine is offered to clean your jewelry.